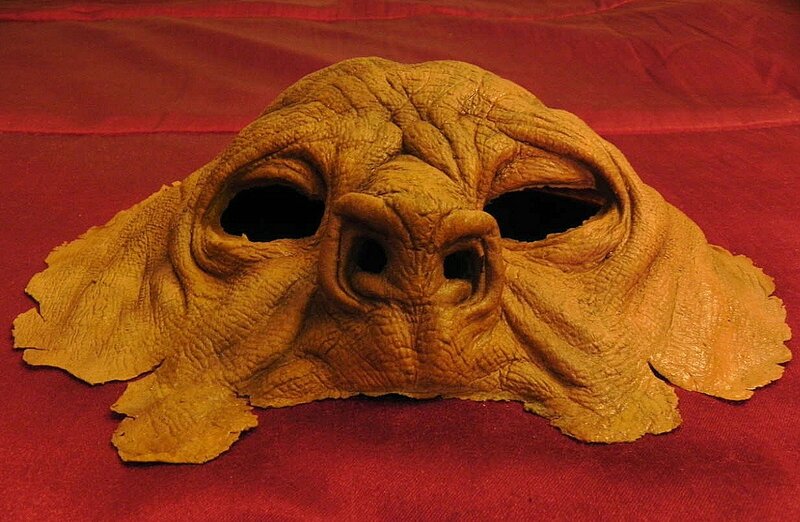 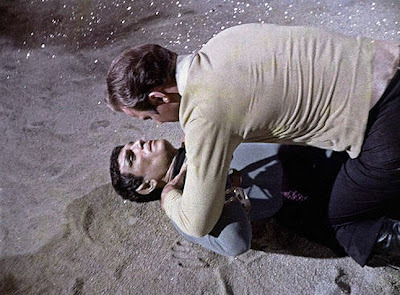 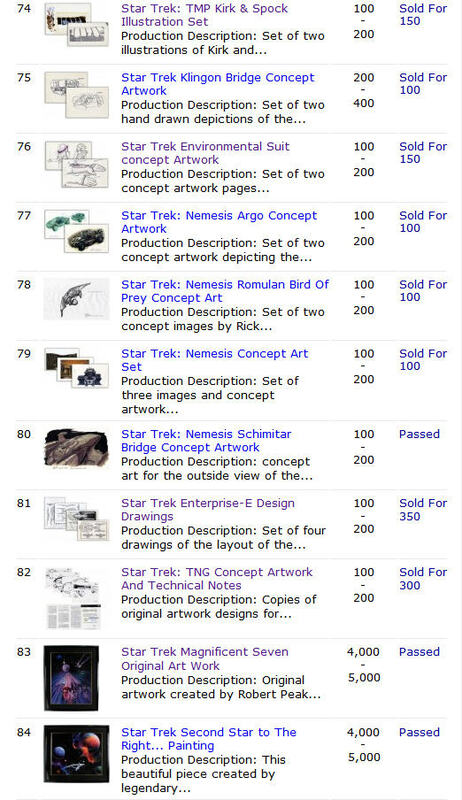 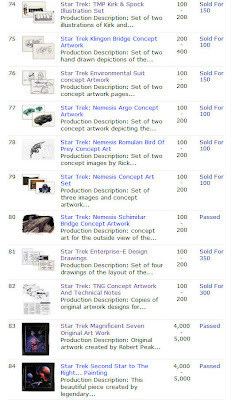 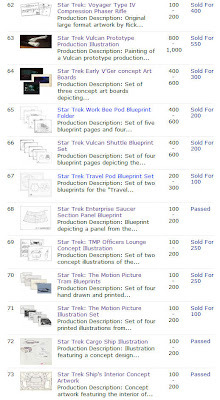 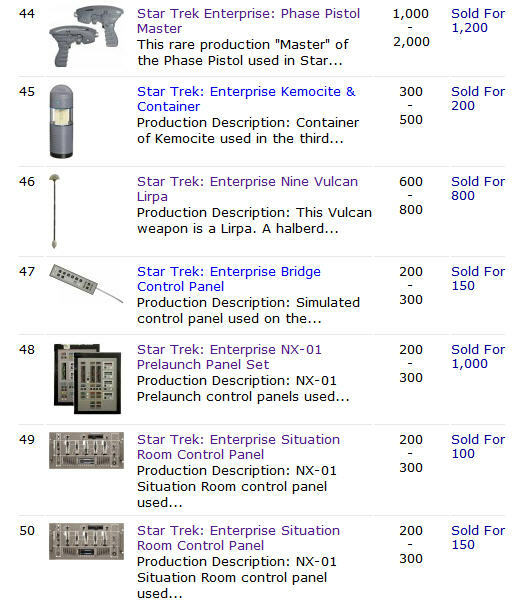 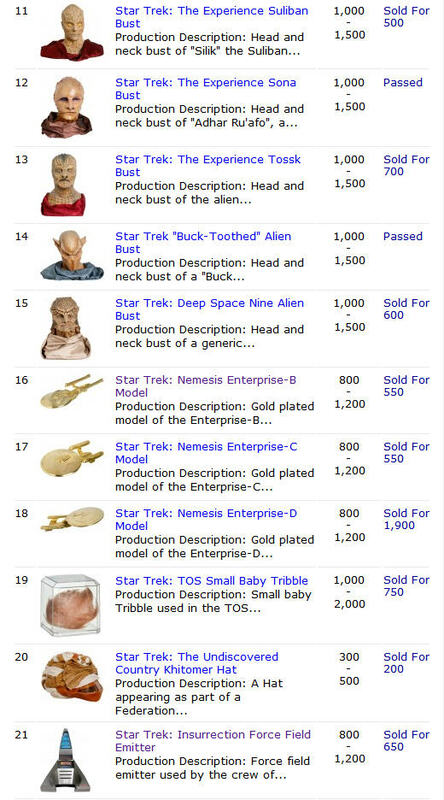 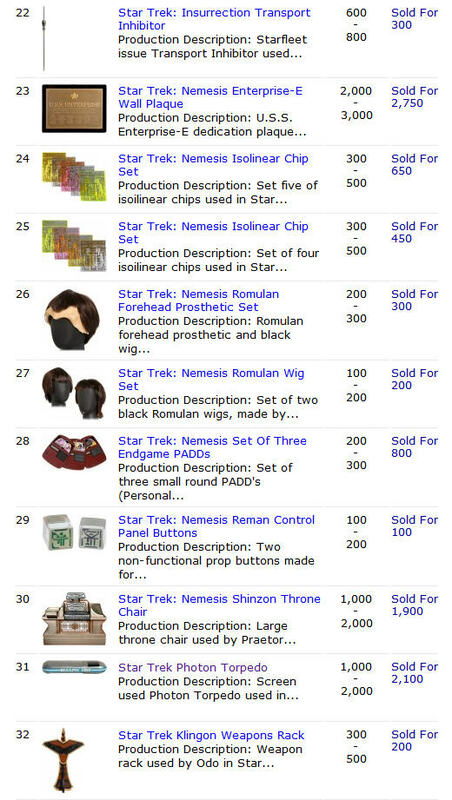 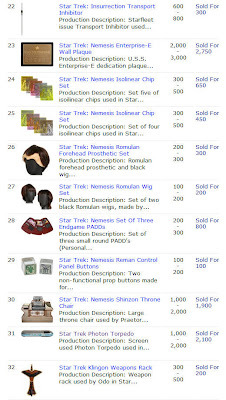 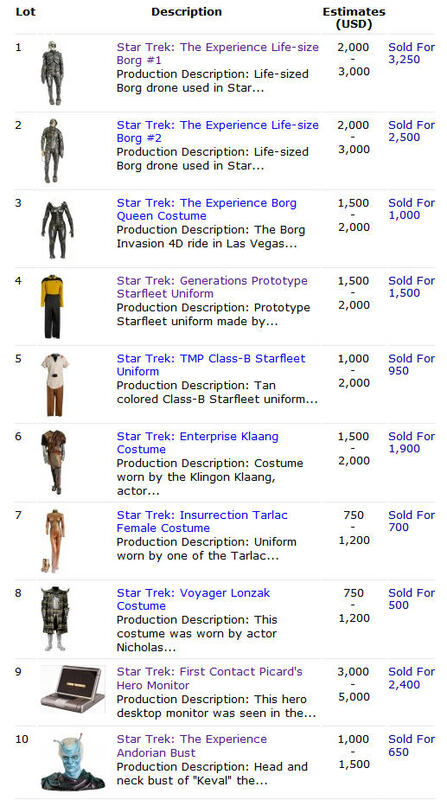 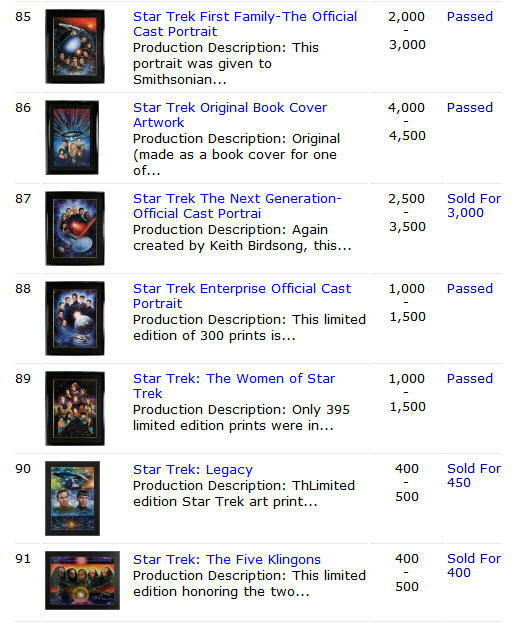 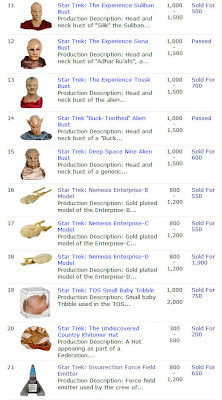 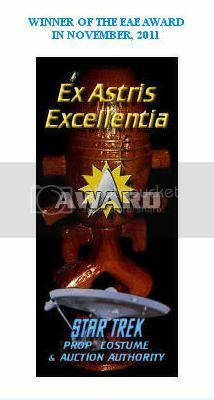 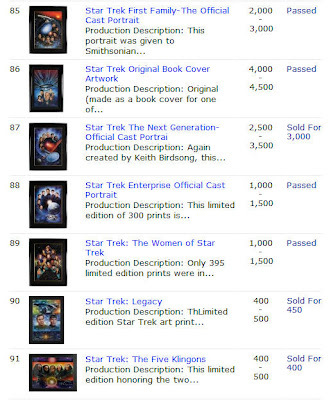 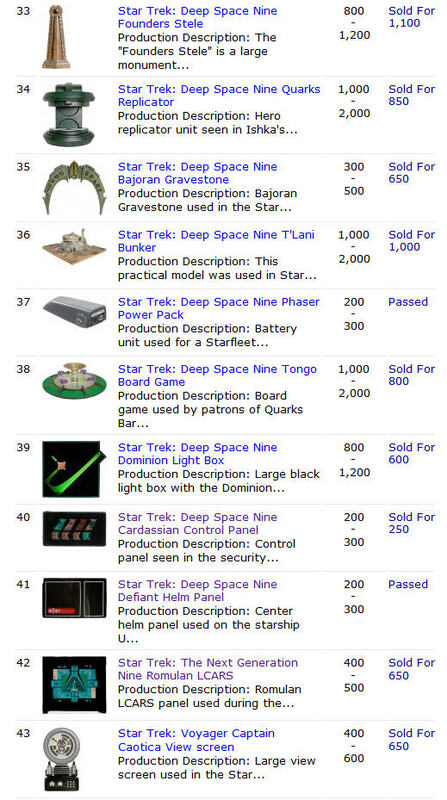 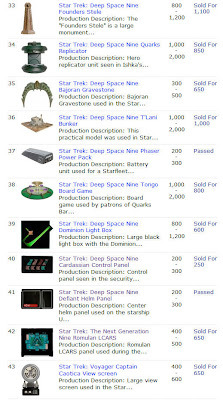 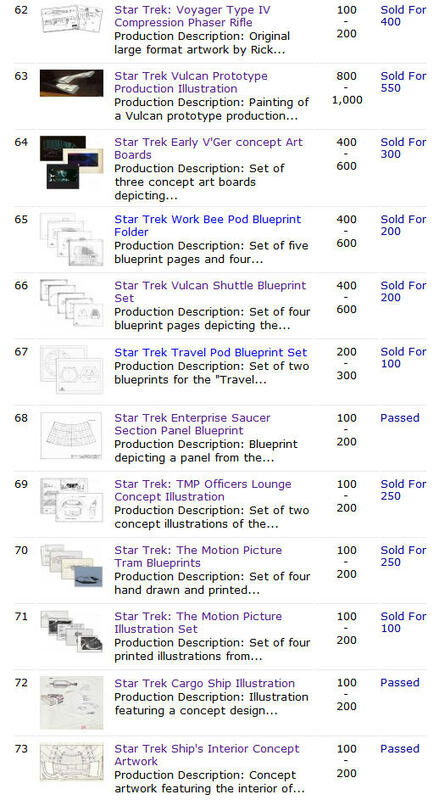 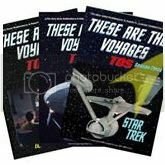 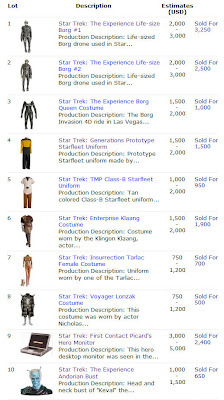 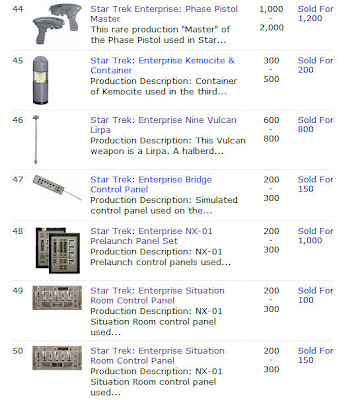 A total of 91 Star Trek memorabilia lots were offered at the Propworx Star Trek Auction III, which concluded bidding earlier this afternoon on LiveAuctioneers.com. 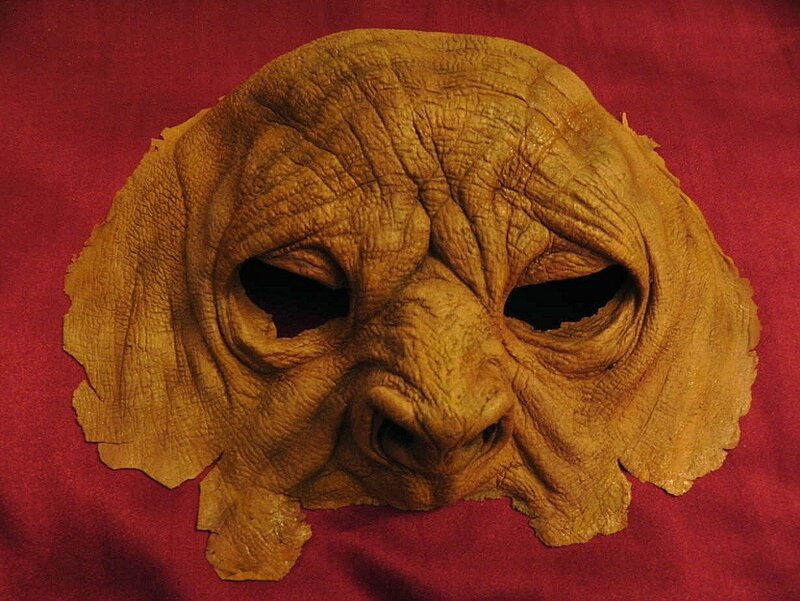 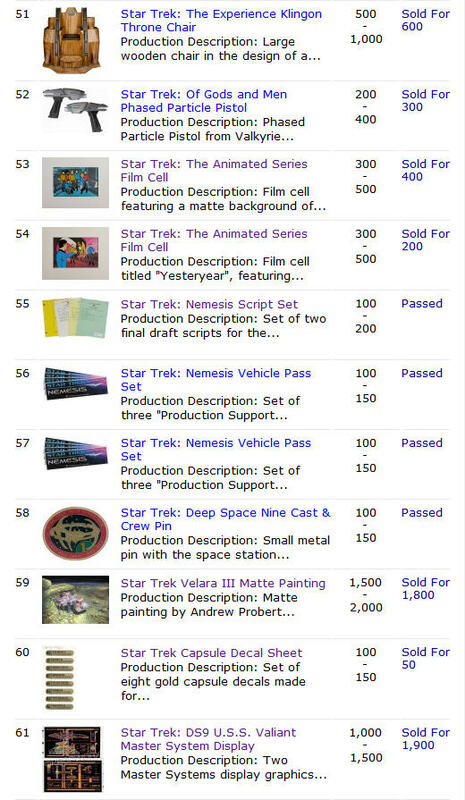 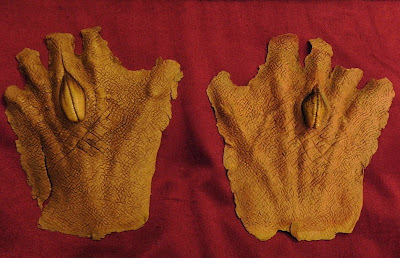 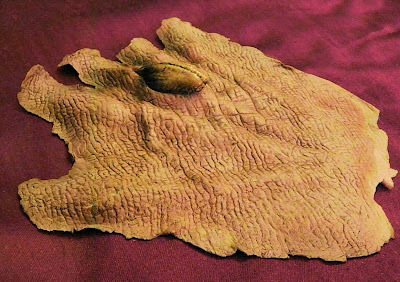 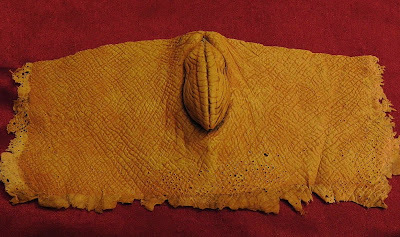 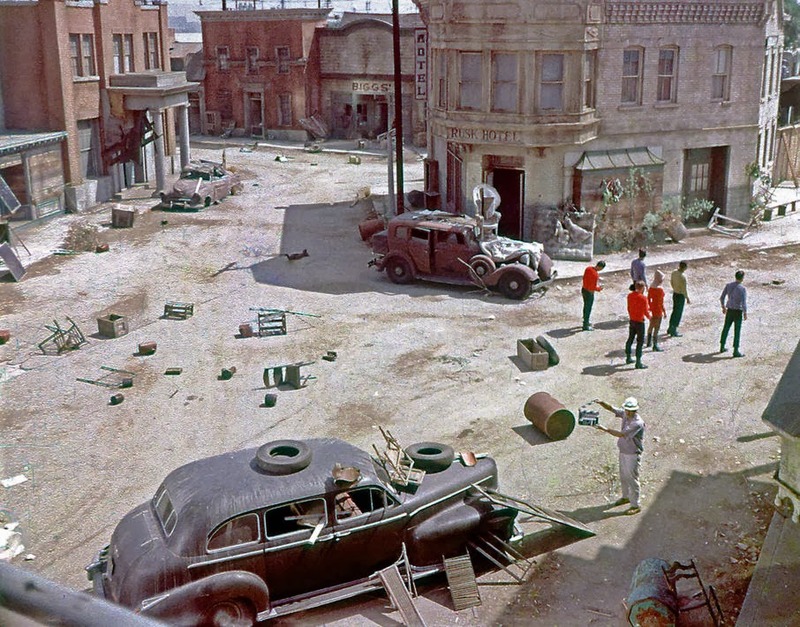 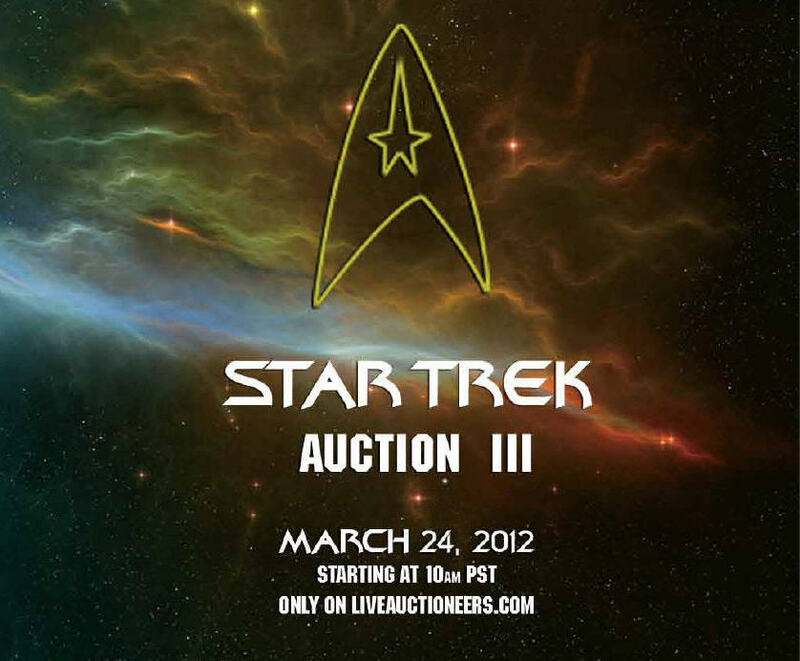 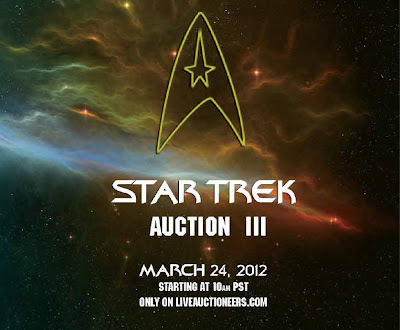 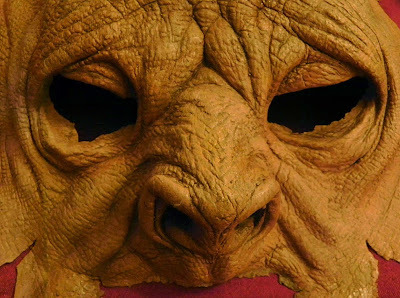 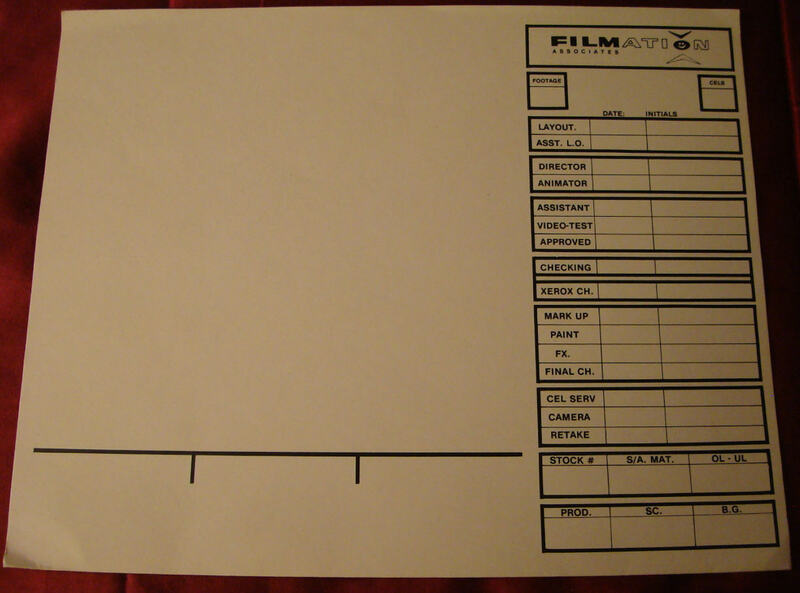 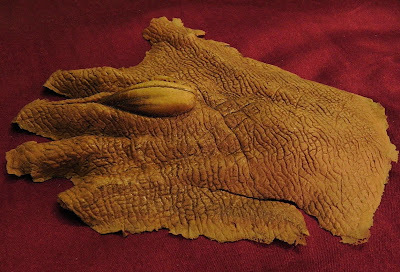 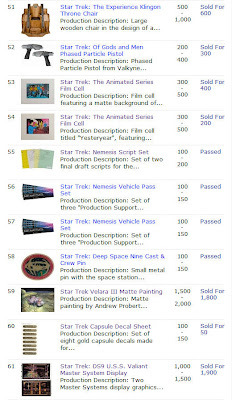 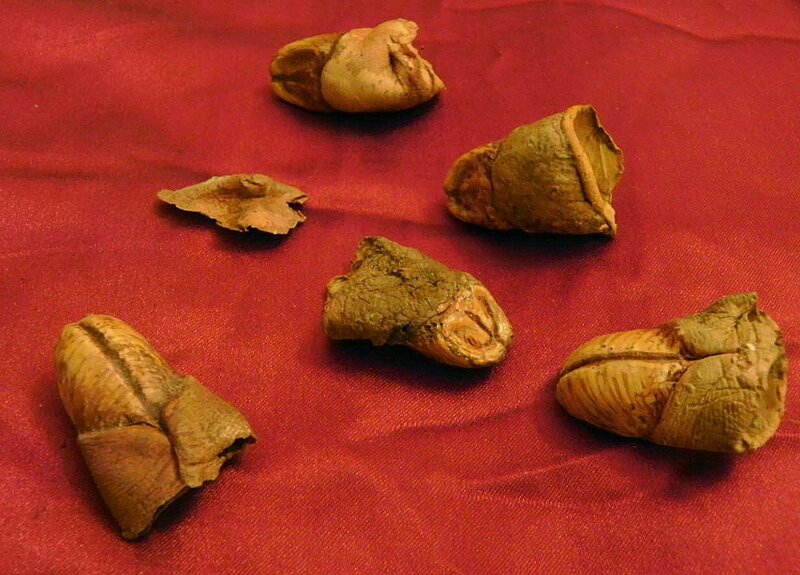 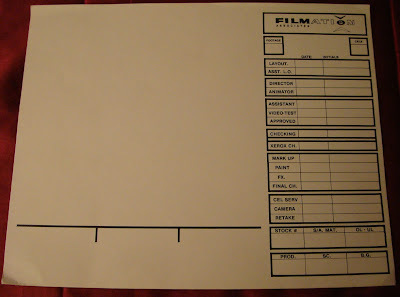 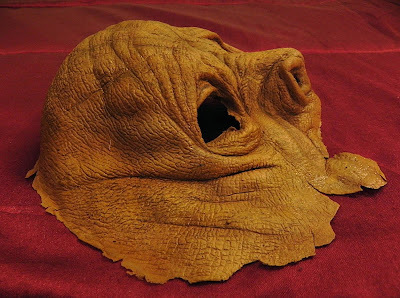 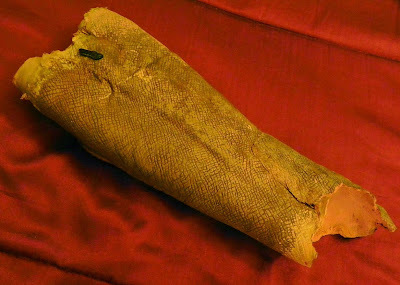 In addition to screen used props, costumes and production artwork from the various Star Trek motion pictures and television series, this auction featured a number of items previously on display at the Star Trek: The Experience museum as well as several limited edition autographed art prints from Lightspeed Fine Arts. 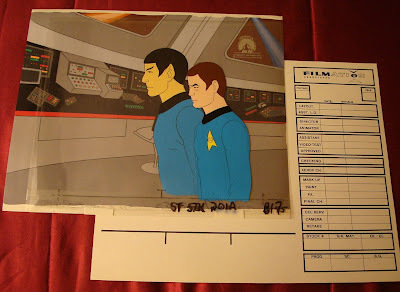 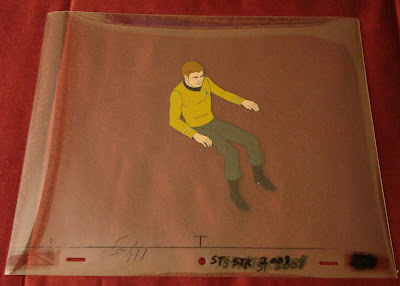 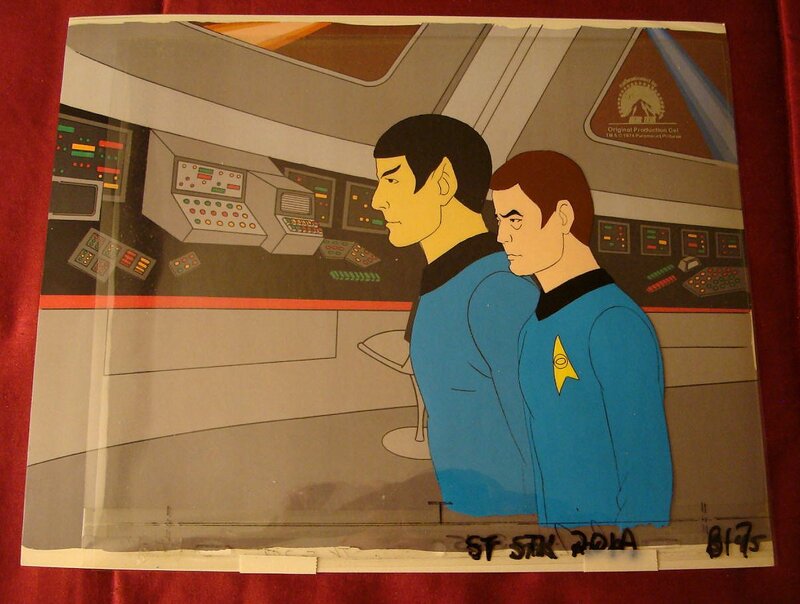 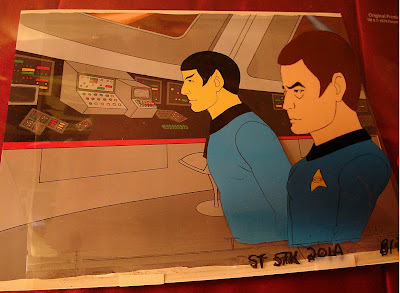 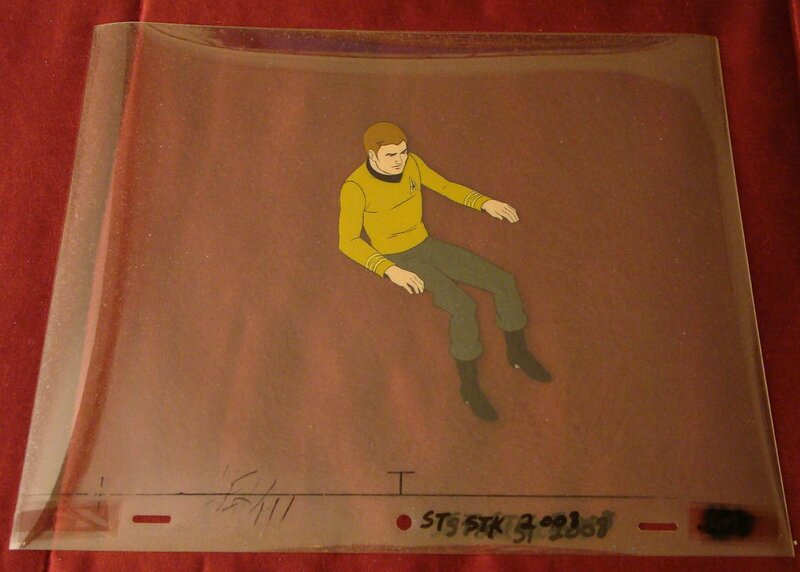 Below are some detailed images of an original production cel from Star Trek: The Animated Series. 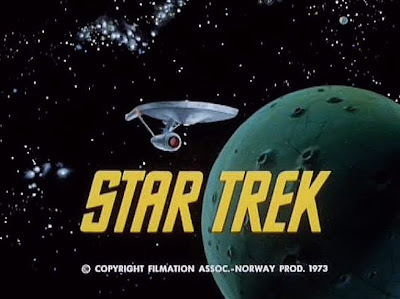 The series was produced by Filmation in association with Paramount television and ran for only two seasons, from 1973-1974, during which a total of twenty-two half hour episodes were broadcast. 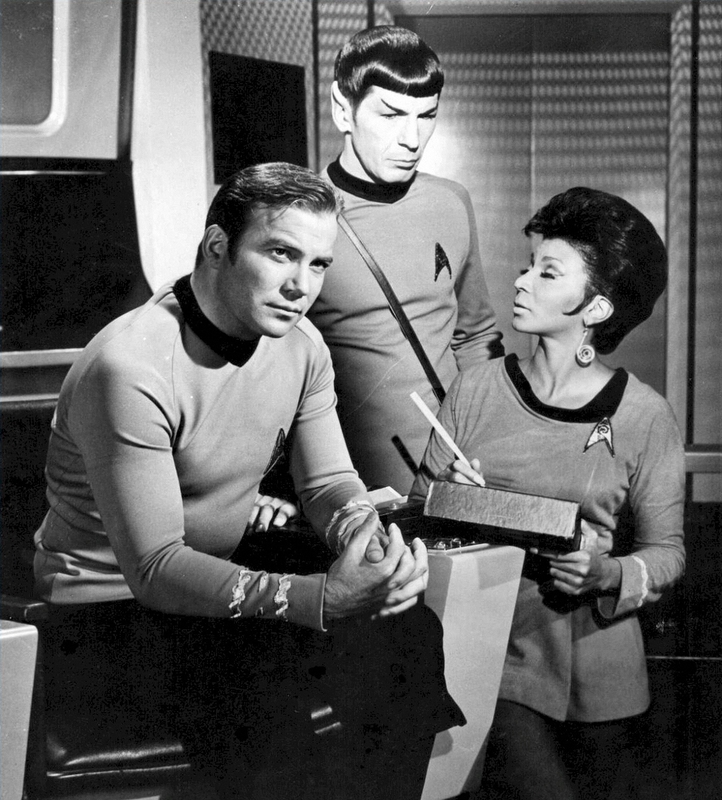 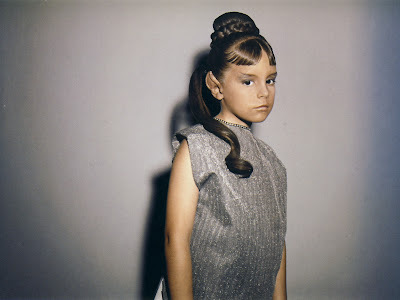 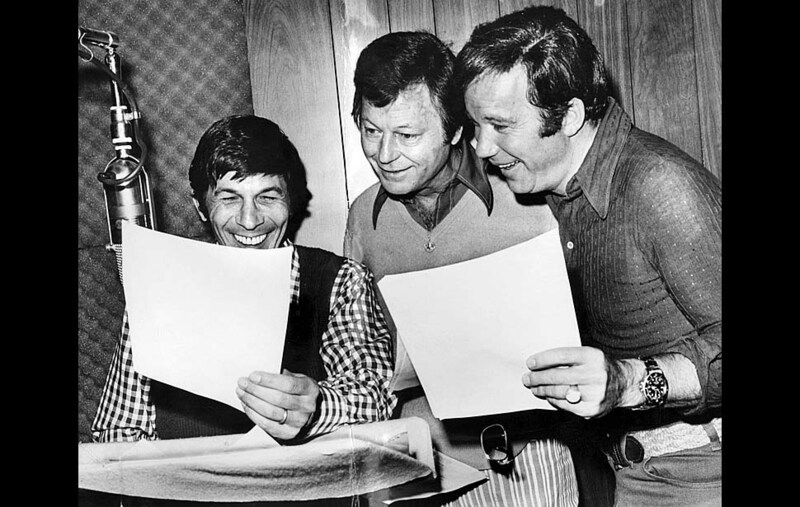 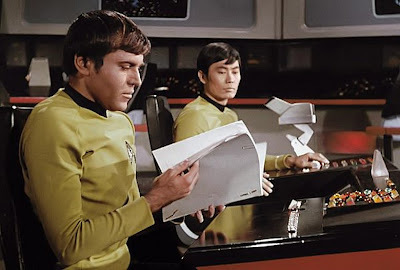 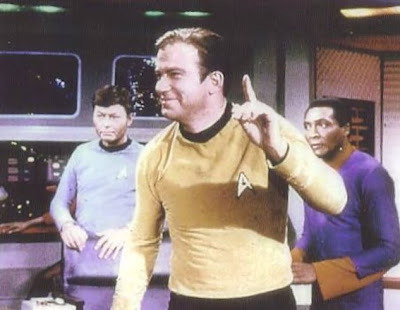 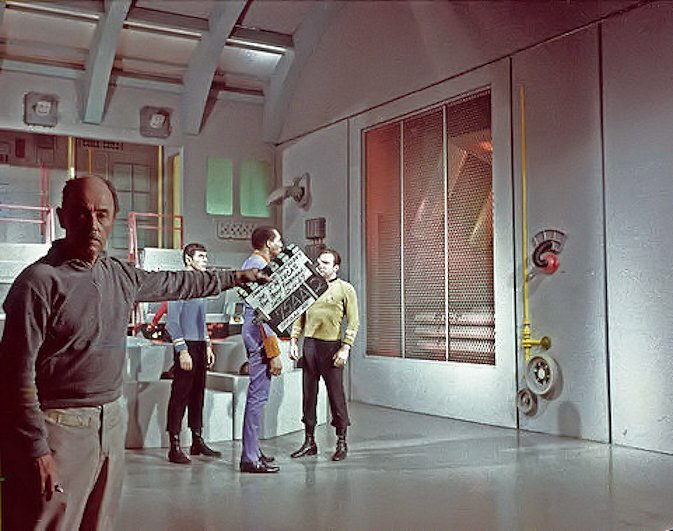 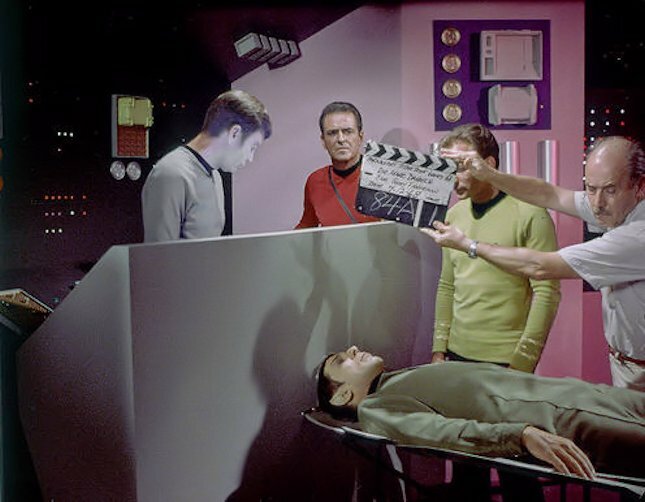 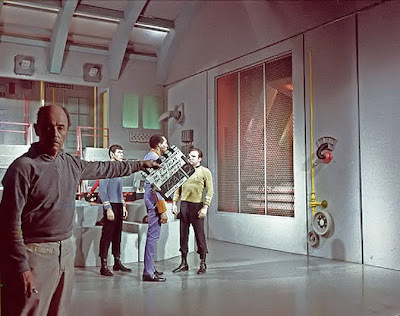 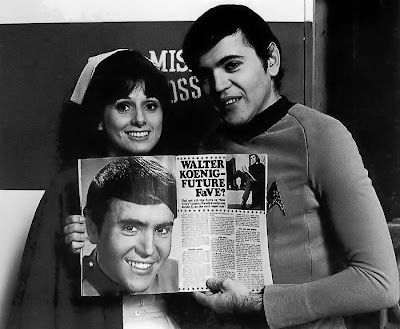 All of the Original Series actors returned to perform the voices for their animated characters, except for Walter Koenig as Pavel Chekov, who was omitted for budgetary reasons. 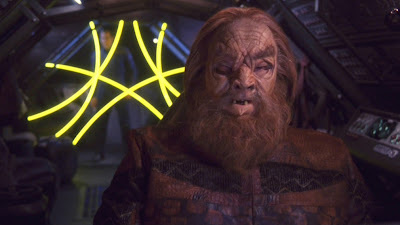 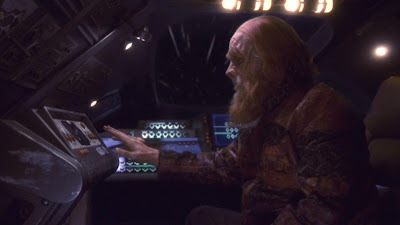 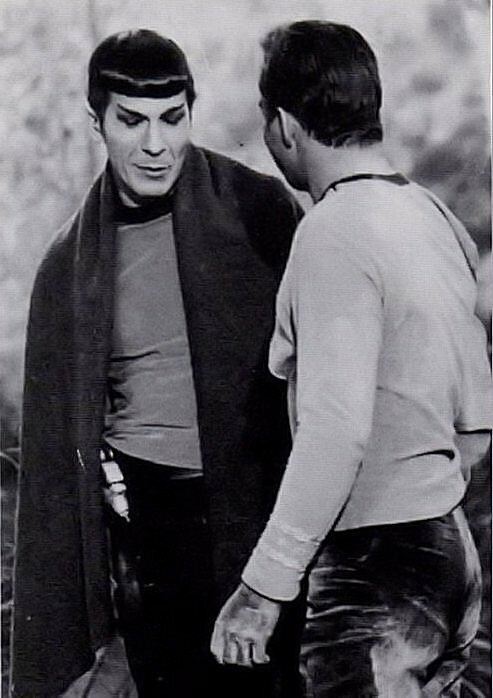 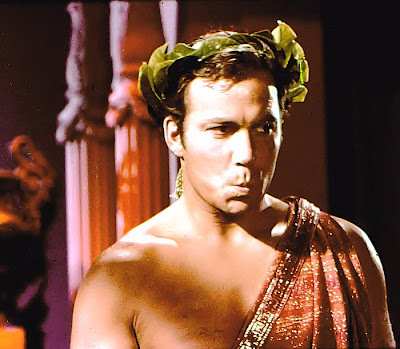 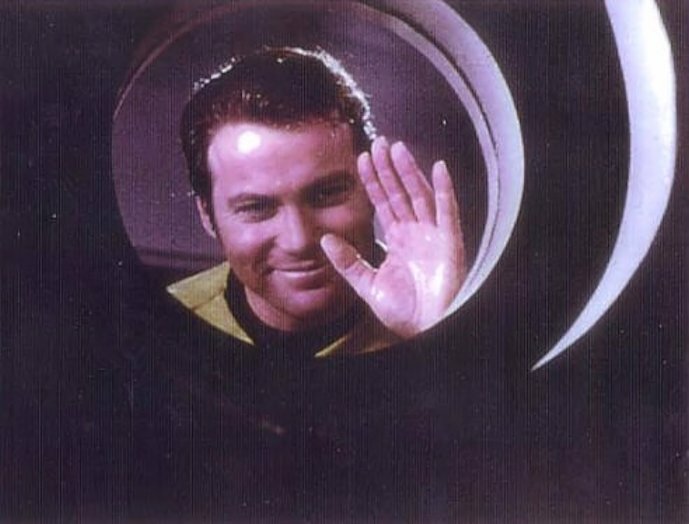 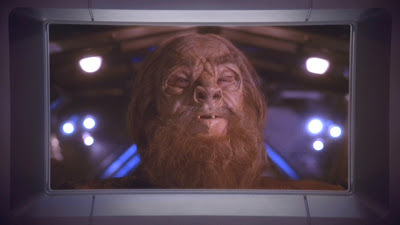 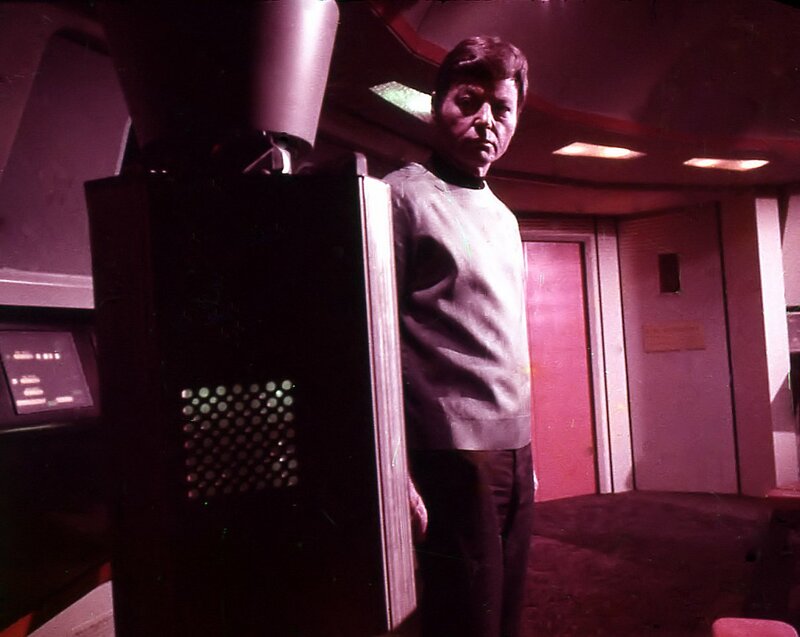 Koenig did write an episode of the series entitled "The Infinite Vulcan", and thus became the first Star Trek actor to write a Star Trek story. 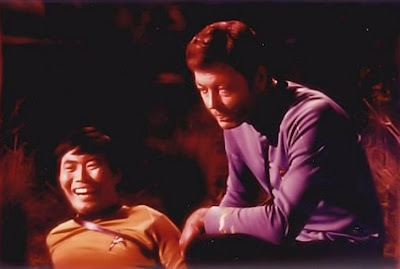 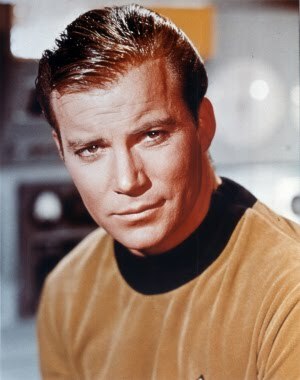 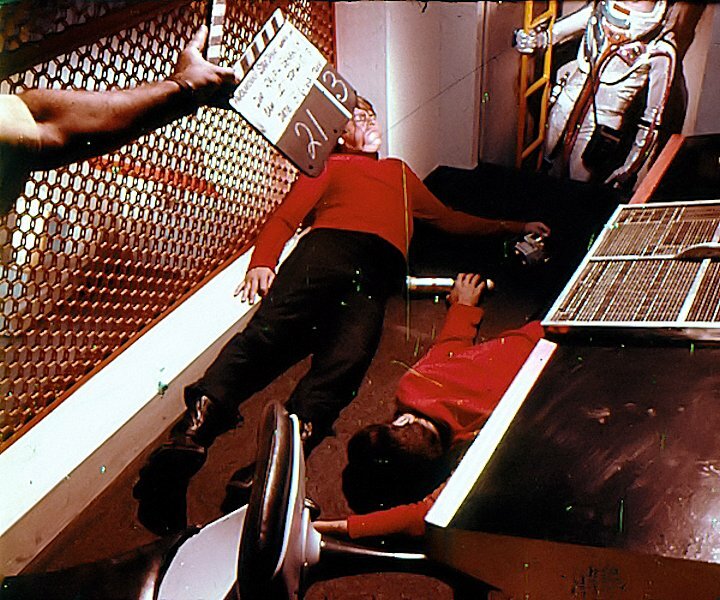 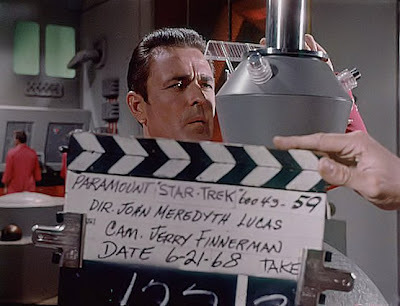 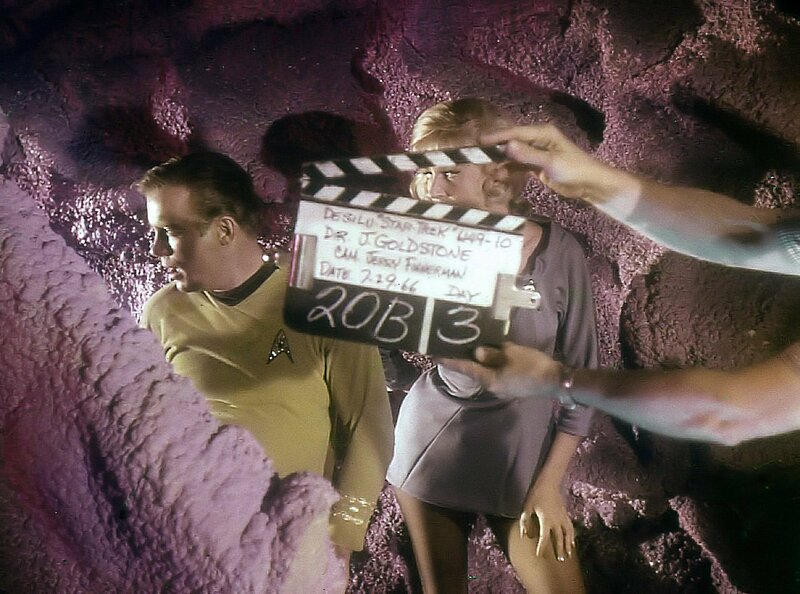 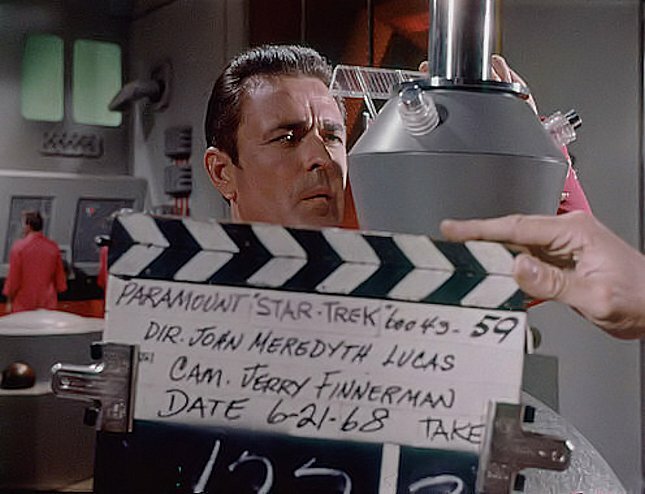 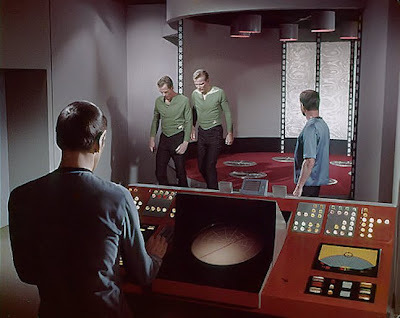 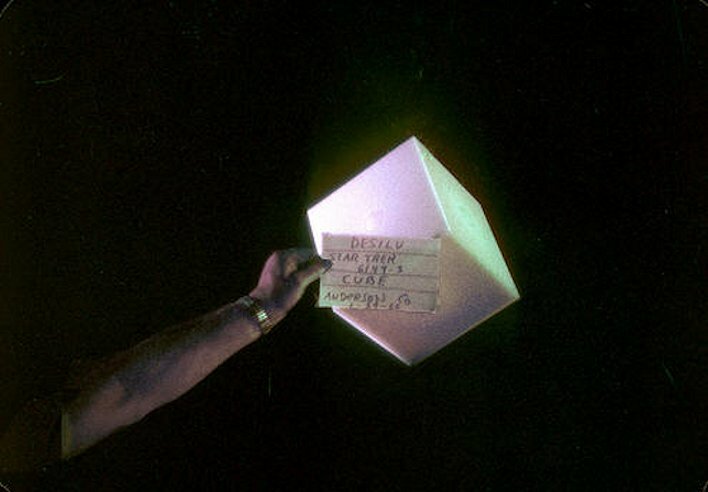 Some well known science fiction authors as well as some of the authors of the original TOS scripts also wrote episodes for TAS - including Larry Niven, Larry Brody, David Gerrold, and D.C. Fontana; and Star Trek: The Animated Series became the first Star Trek series to win an Emmy Award by taking the Outstanding Entertainment - Children's Series Daytime Emmy in 1975. 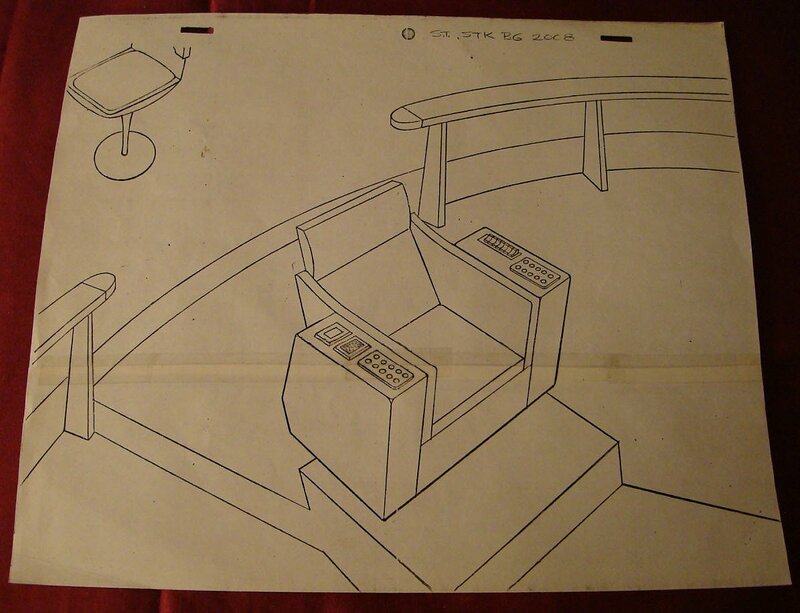 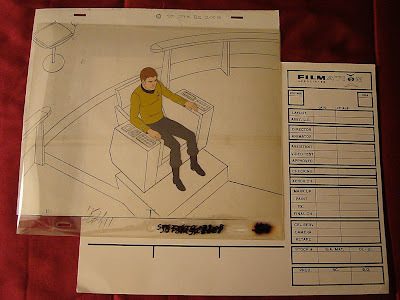 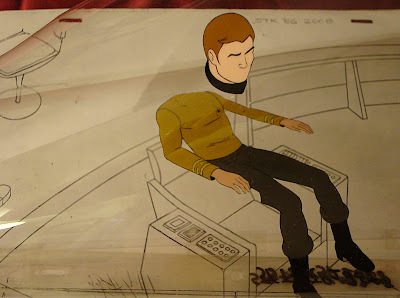 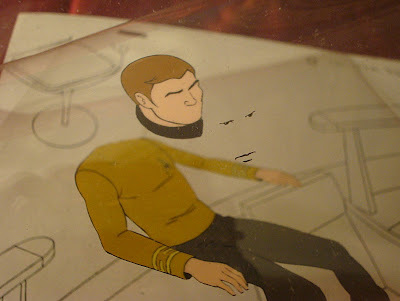 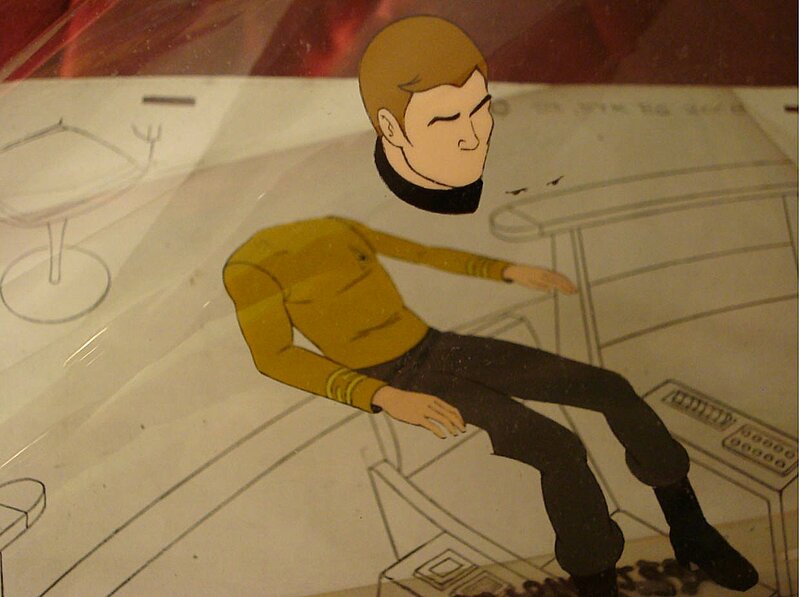 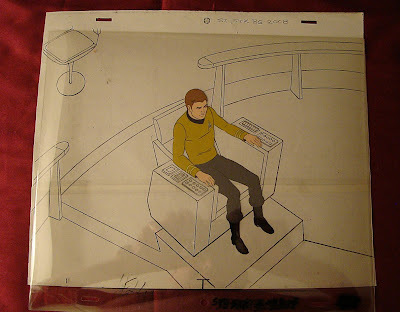 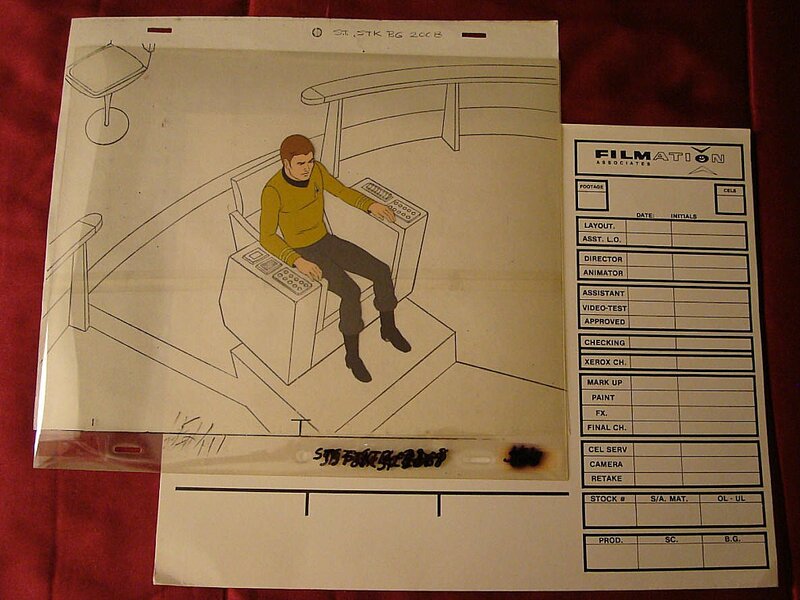 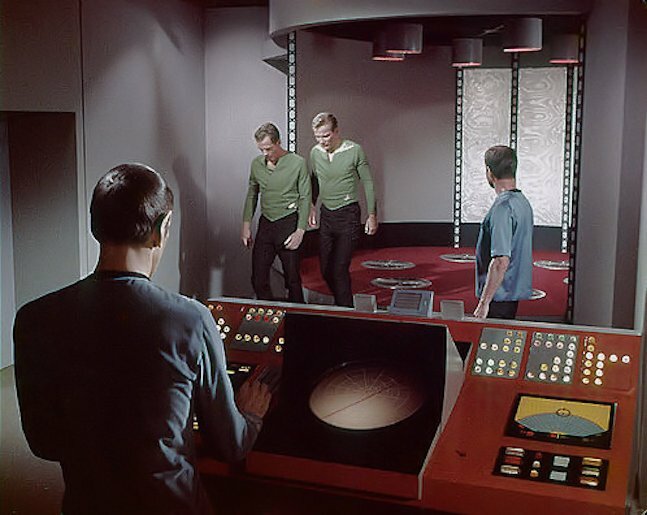 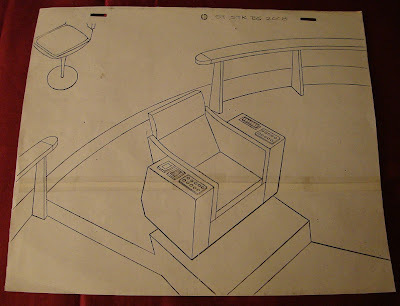 The cel below features Captain Kirk sitting in his Captain's Chair on the Enterprise Bridge, and consists of a photocopied background along with 4 layers of cellulose acetate pages bearing unique artwork on each layer. 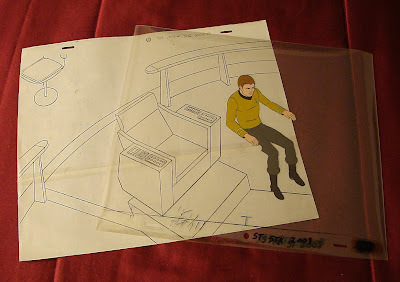 When overlapped, the set of pages forms the complete image of the character. 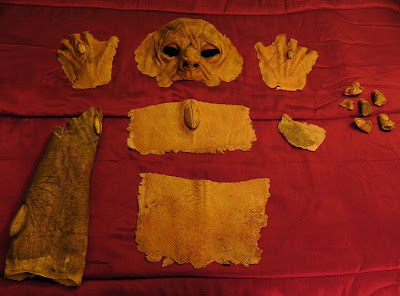 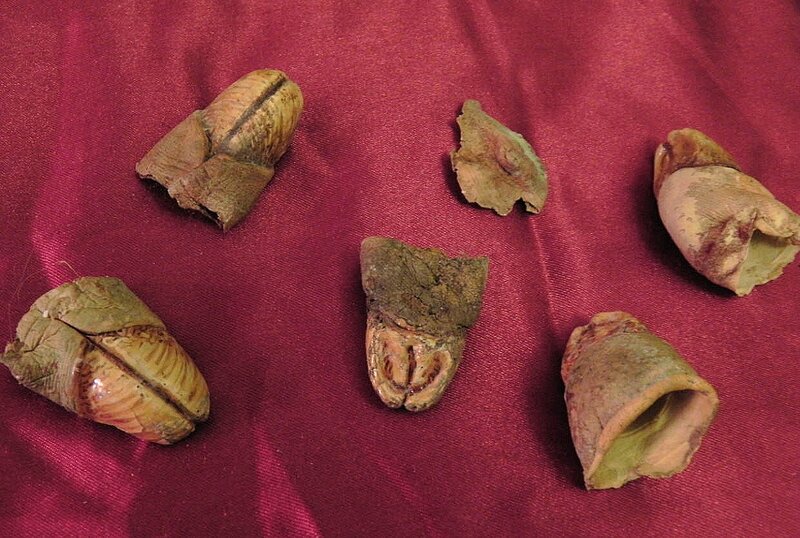 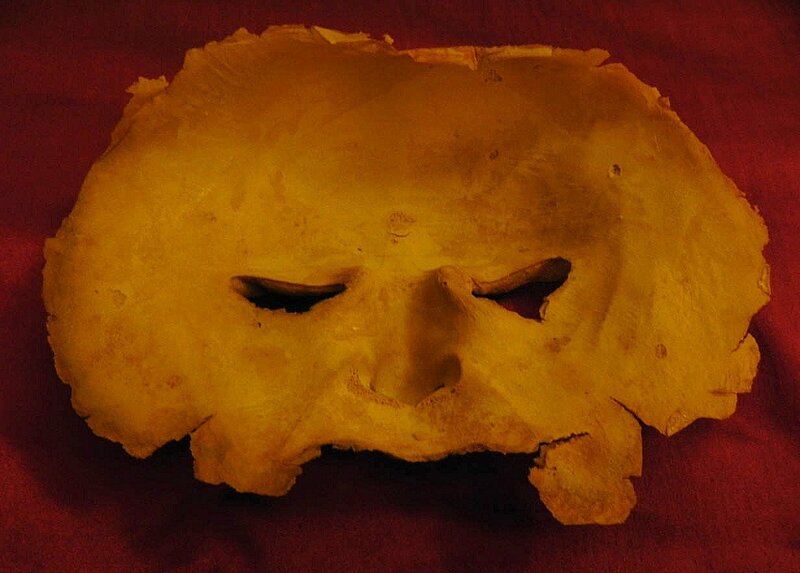 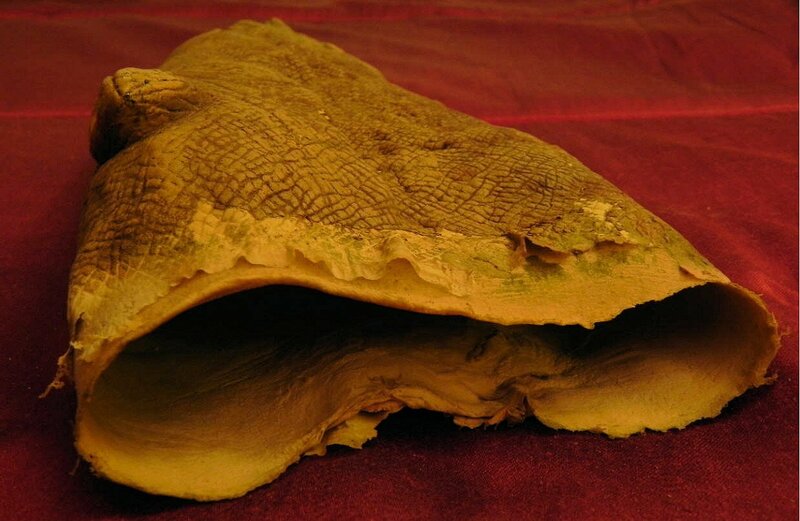 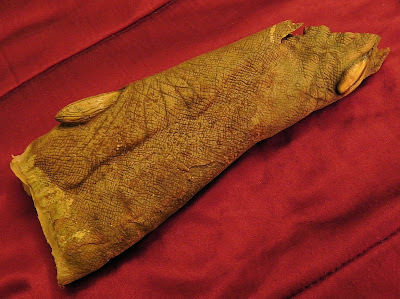 As seen in the following photos; the bottom layer contains the complete body except for the head, the 3rd layer contains a head without eyes or mouth, the 2nd layer features only the eyes, and the top layer features the mouth. 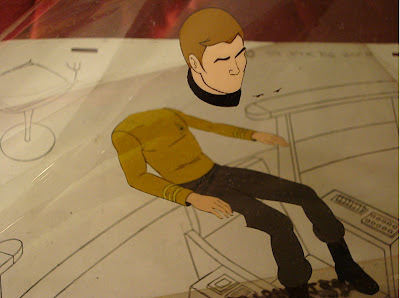 By breaking down the image in this fashion, it is evident that the facial expression on the character could be easily modified by just making tiny changes to the art on only the topmost layers with minimal overall effort.